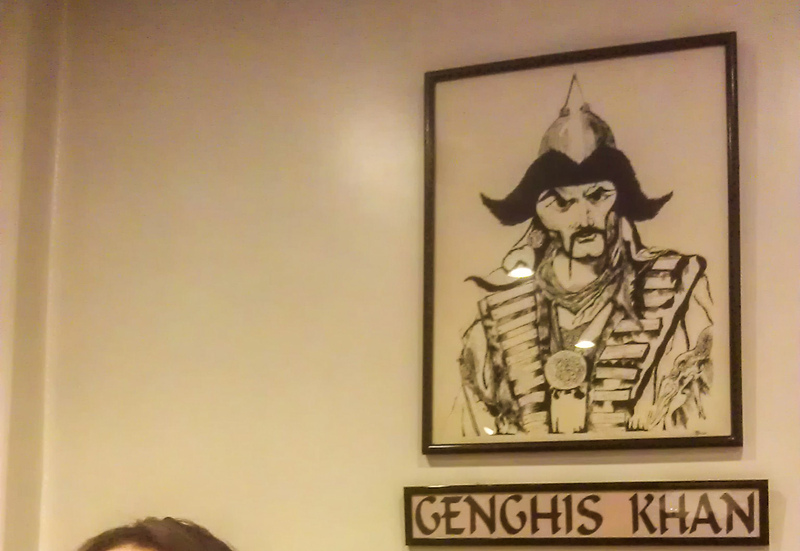 I've been to Baguio several times but this is my first time to dine at O' Mai Khan. I heard they've been around since the 90's. I guess I've been spending too much time in the "pansitan" lol. My previous post, 24 Hours in the City of Pines mentioned about my little research on how they derived their name. Mistaken it to be related to Genghis Khan, the term was actually coined from an Ilocano word "umay kan" which means come here. The place can accommodate large groups of diners and very ideal for family gatherings. Prices are very reasonable and their menu offers a wide selection of dishes not solely exclusive to Mongolian cuisine but of course their specialty is Mongalian barbeque and hotpot. Although my appetite is not bent on eating more after that very filling Forest House lunch I had, nonetheless I'm not going to say no to a Mongolian bowl. 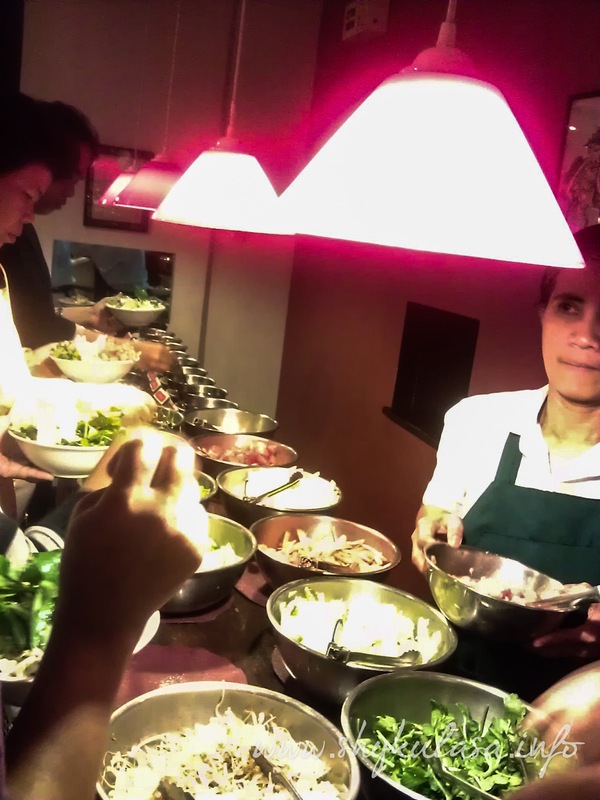 While some of us opted for ala carte servings many still headed to the Mongolian section and do their own concoctions of veggies and meat ingredients to their hearts content. The sauces are plenty but I always leave that part out and just advised the person in charge that I like it sweet and spicy. The place is full which explains why the line is long but our friend is all smiles, well it's already his turn and he made this dinner happen, thanks Mike ;). The Mongolian bowl didn't turn out the way I want it, not spicy at all. Maybe the manang in charge got confused and mixed it up due to the volume of people around and the veggies are too soggy. I hope I'll have a better experience next time and I need to do my own sauce concoction to meet the taste I desired. The soup is right on, just enough to ease my still full tummy. For desserts, I have to recommend this duo. I love how the calamansi pie tasted, it got the exact blend of sweetness and tanginess and I can't get enough of the milk strawberry shake. Include O' Mai Khan in your food trip itinerary when you visit Baguio City. Your travel will never be complete without eating there. 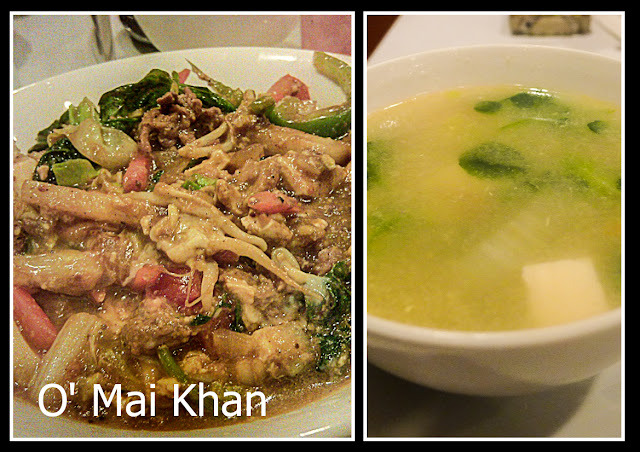 I also like the food choices in O Mai Khan though I have been to there maybe once or twice only even when I was still living in Baguio. 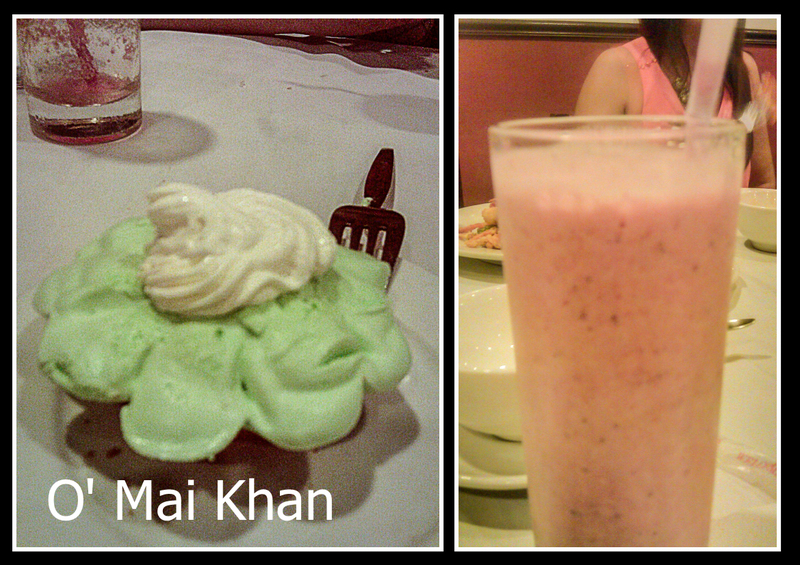 O' May Khan could be translated to OMG as I look the foods being served. They are too nutritious I believe. I like eating them. O' Mai Khan! What a neat trick...it appears like a case of visual cues telling the brain what to think...a sort of "the tail wagging the dog". Interesting play on words - it could have fooled anyone! At the very least, whoever coined it has a great sense of humor. Your posts never disappoint, Shie. The menu looks promising. 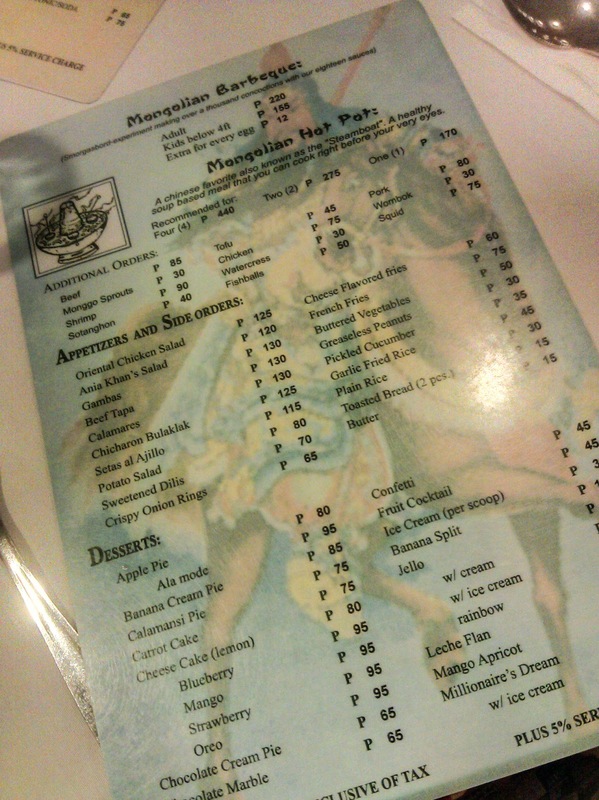 I'm not a real fan of mongolian food but it's the first time that I've heard of calamansi pie. 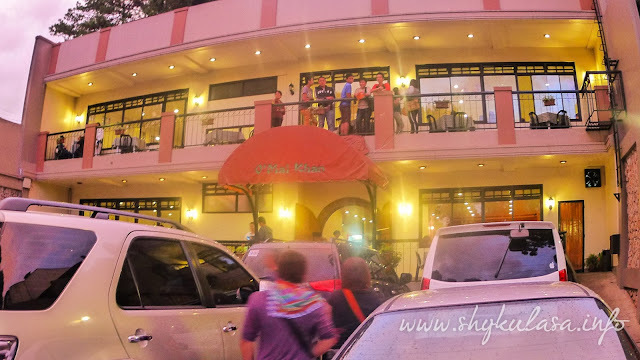 And because of that, I will check this place out next time I'm in Baguio.